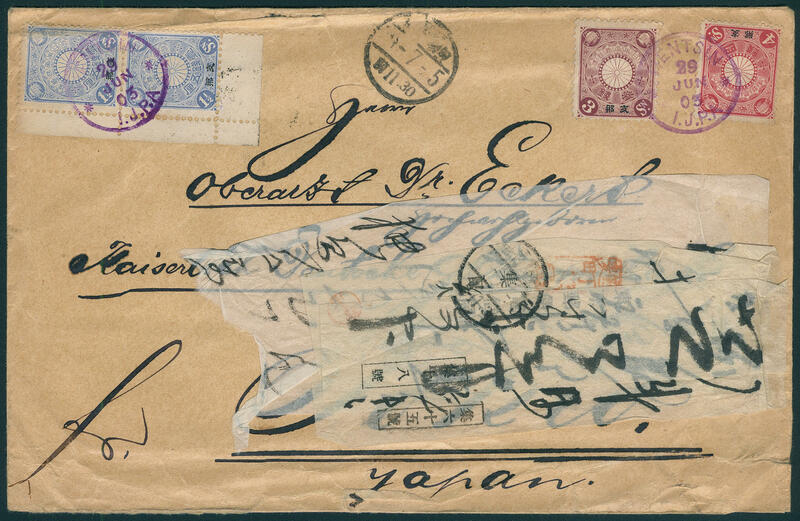 3565 ✉ 3,5,6 1 ½ S. Ultramarine in the vertical corner margin pair, 3 S. Lilac brown and 4 S. Rose on especially attractive and scarce cover, a little rough opened, with violet single circle postmark \"TIENTSIN I. J. P. A 29. June 03. \" to the Senior physician Dr. Eckert imperial German Embassy in Tokio / Japan with attached forwarding receipts (Allongen) and different transit and arrival postmarks. 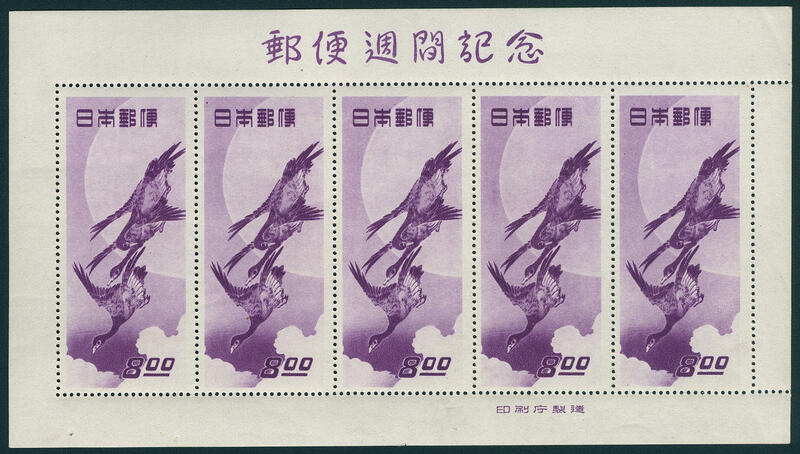 An exceptional interesting and attractive cover, in this kind of prime rarity! 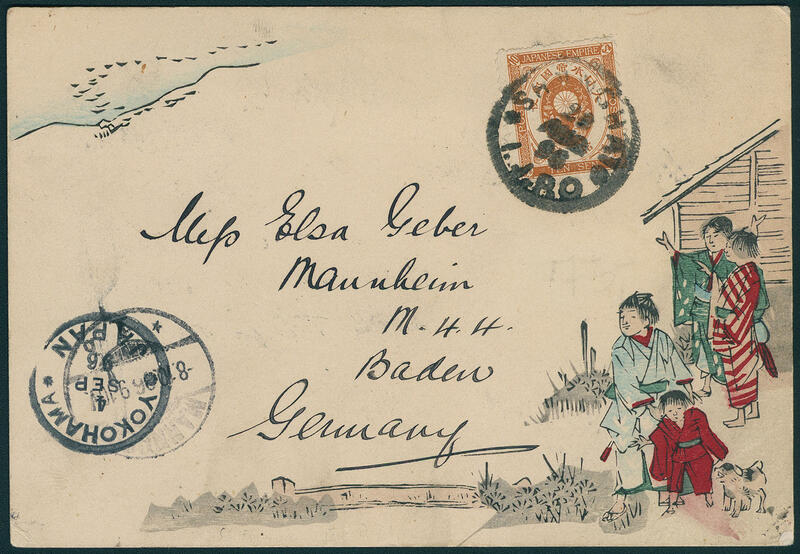 3563 ✉ Jap.63 10 Sen. Orange brown, in perfect condition on very decorative colored illustrated card with single circle postmark \"SHANGHAI I. J. P. O. 20. August 96\" with transit cancellation \"YOKOHAMA 4. September 96\" to Mannheim with arrival postmark. Sender adress was a crew member the \"S. S. FORMOSA\". An extraordinary document! 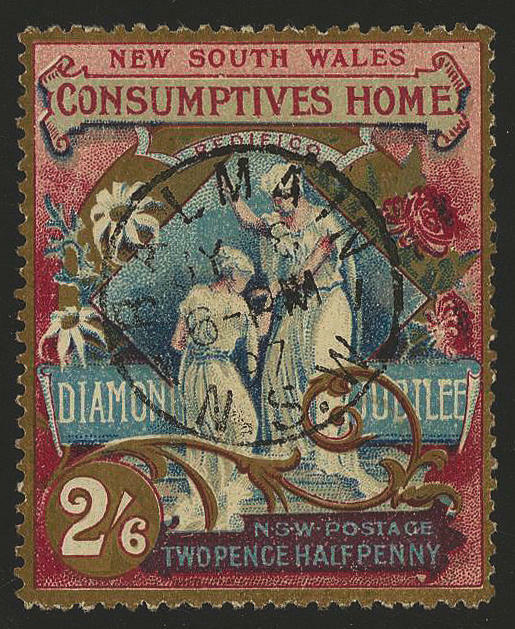 3564 Jan 14 Postage stamps set 1900, all 14 values fresh colors, partly as usual irregular perforated, unused with original gumming. Michel 470,- €. 3574 ✉ 2 10 C. Blue, wonderful fresh colors and on all sides enormously with wide margins on cover, cleaned, with clear single circle postmark \"meridian 4. DEC. 1862\", inverted today's date to Livingston / Alabama. An attractive cover, especially in of this outstanding quality! Provenance: Ex collection Haas. 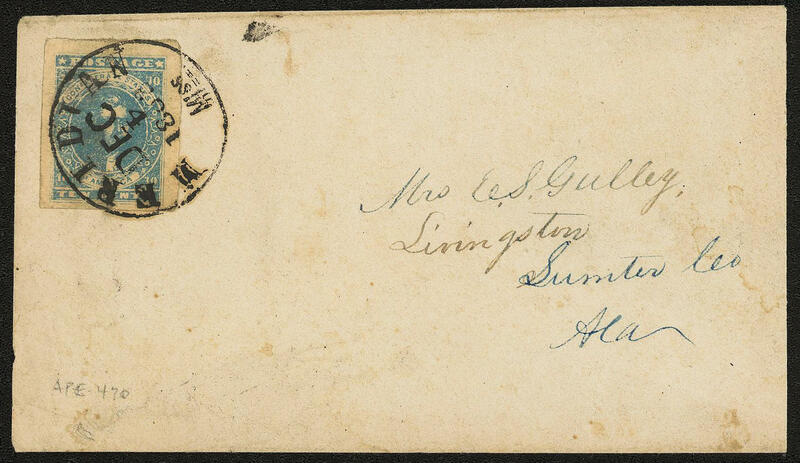 3575 ✉ 2 10 C. Milk blue, fresh colors and with wide margins on cover with single circle postmark \"SELMA\" to Livingston / Alabama. Provenance: Ex collection Haas. 3576 ✉ 77,83 5 C. Green / gray green in the strip of three, as well 35 C. Red / grey on registered censored letter from \"DIEGO SUAREZ 31. 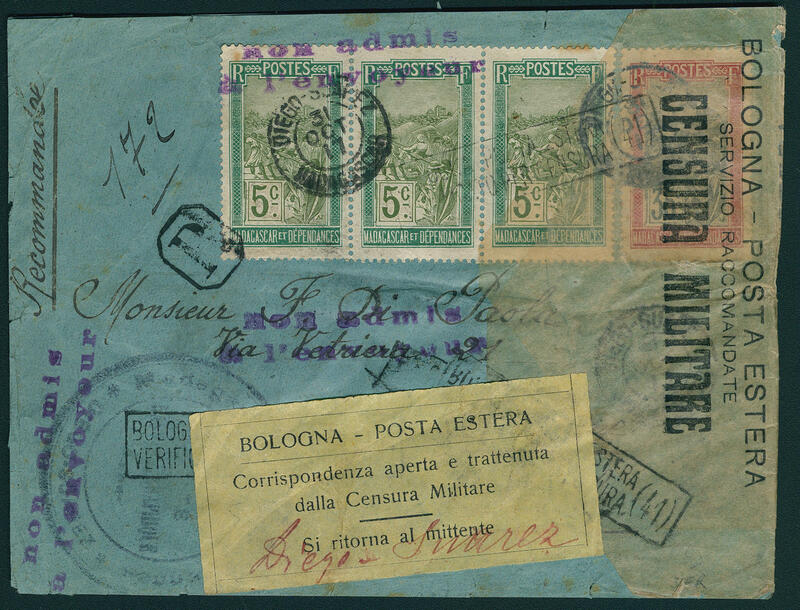 OCT. 17\" to Italy with censorship strip and return note. 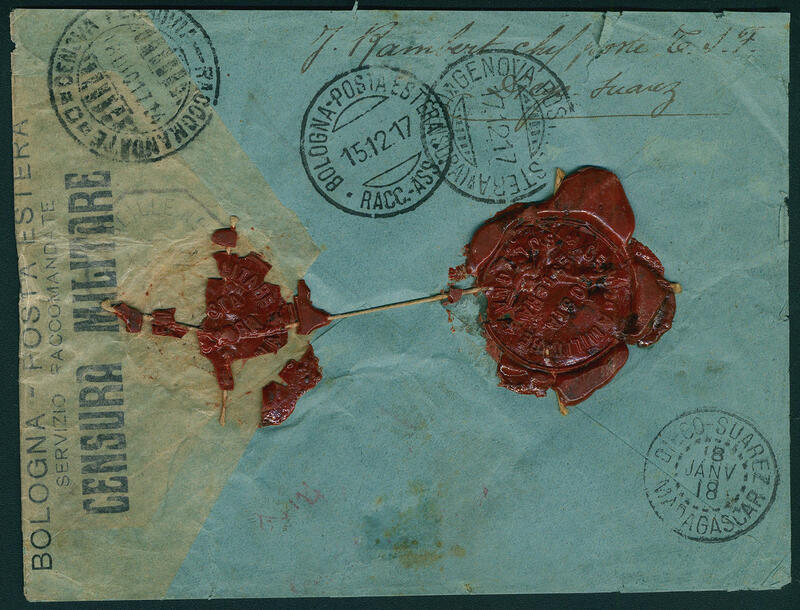 On the back of the letter is a seal of the censor from Bologna, cover three sided opened. An extraordinary cover! 3577 ✉ \"MADEIRA\", pre philately letter from 2. 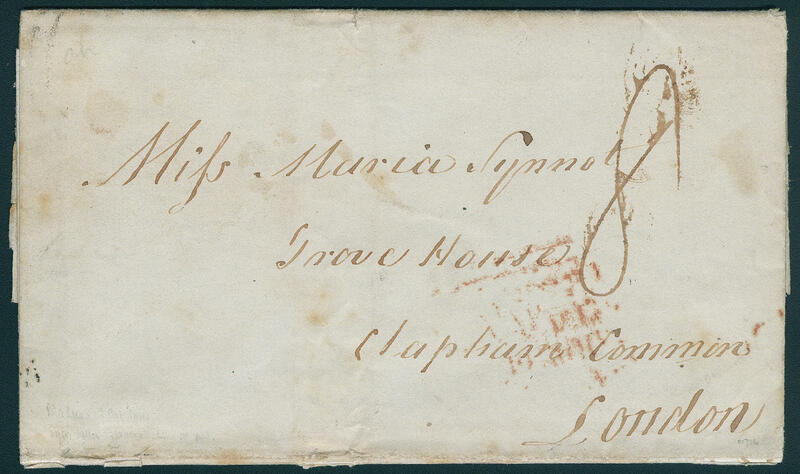 April 1841 with complete content with on the back one-line cancel \"SHIP LETT (he) \" and red transit stamp to London. 3579 ✉ 30 4 P. Red, vertical pair, right with wide margin, on very nice, small-format cover with clear number postmark \"B53\" with on the back transit single circle postmark \"MAURITIUS 6. Yes. 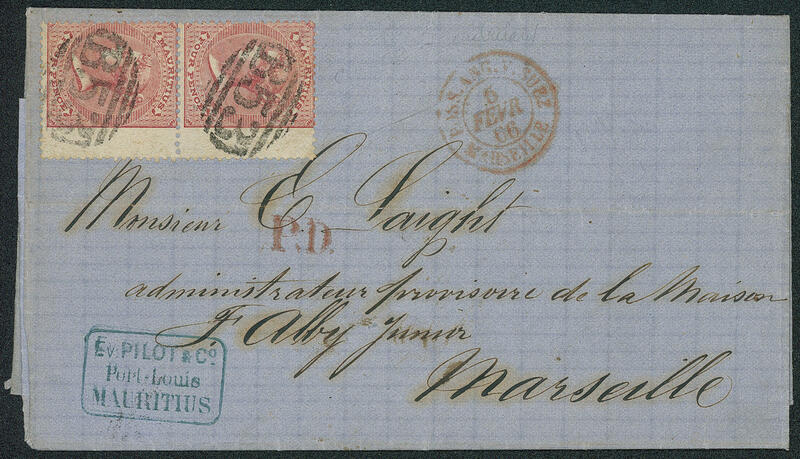 66\" to Marseille with red \"P. D. \" and red border transit postmark. A very nice and rare cover! 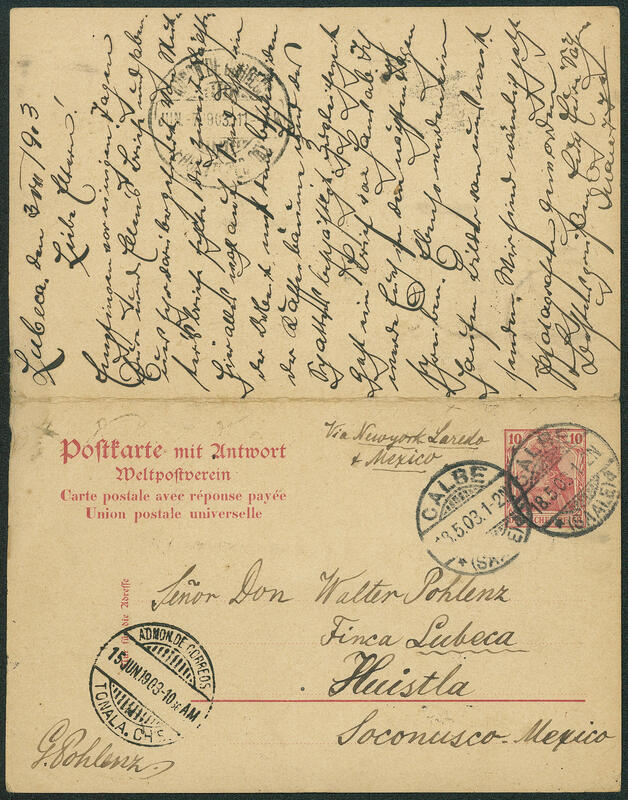 3580 ✉ \"AGENCIA DE CORREOS EN HUSTLA\", rare oval cancel from 1903 on double postal stationery 10 Pfg. Germania, mailed in \"CALBE 18.5.03. \", There and returned with a lot of text. In this kind seeming unique! Photo expertize Peter Holcombe. 3578 16Abart 2 on 2 Fr. 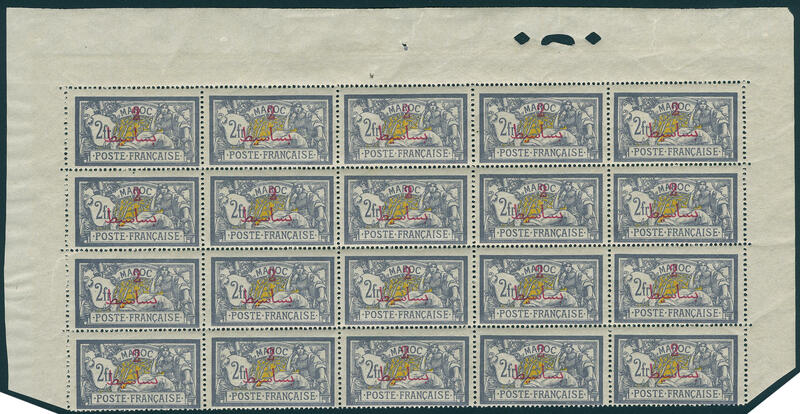 Violet / yellow without overprint \"PROTECTORAT FRANCAIS\", as well the Arabic overprint in altered form, part sheet from 20 values with inverted punching in the margin, in perfect condition mint never hinged in this kind neither by Michel still in the Yvert indicates. Spectacular rarity for the large special collection! 3582 ✉ 13,14I,17 2 ½ P. Dark blue, 3 P. Yellow olive, 1 Sh. 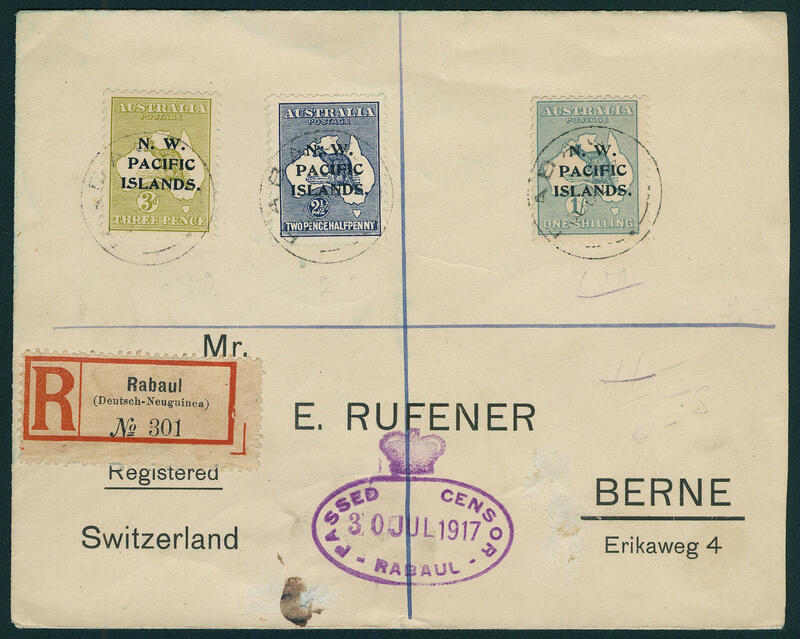 Blue-green, fresh colors and in perfect condition as very nice 3 colours franking on registered cover, cover at the bottom a little scratched, with cancellation adjusted German registration label from \"RABAUL\" with violet censorship stamp \"PASSED CENSOR RABAUL 30. 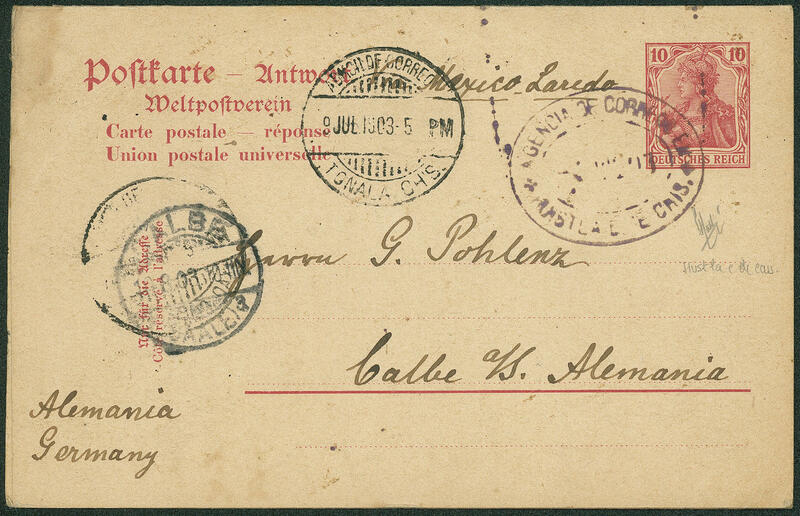 July 1917\" to Bern / Switzerland with transit and arrival postmark. Very decorative and rare! 3584 ⊙ W1/2 60 years regency 1897, both values in perfect condition centric cancellation Michel 440,- €. 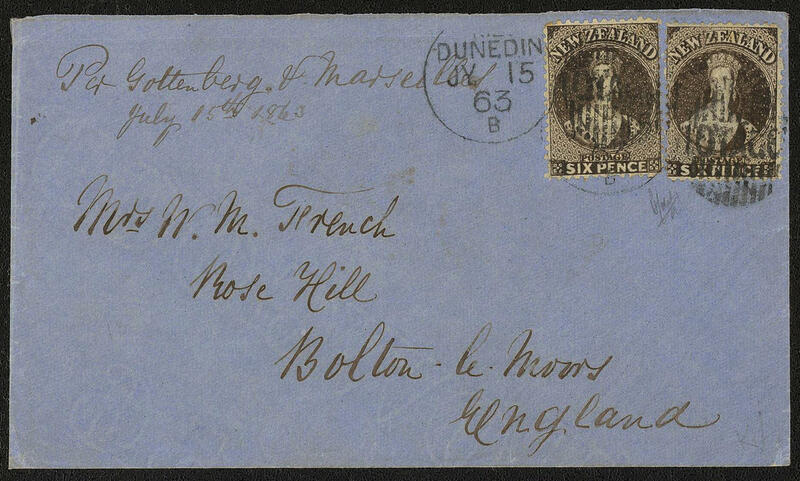 3583 ✉ 16b 6 P. Black brown, perforated 13, two examples as scarce multiple franking on cover the double weight step, stamps samples to the quality check disengaged, from \"DUNEDIN 15. JY. 63\" with handwritten routing indicator \"PER GOTTENBERG and MARSEILLE\" to Bolton Le Moors / England with arrival postmark. A very attractive and rare cover! Provenance: Ex collections Antipodes and Joseph Hackmey. Expertized Holcombe, photo expertize Royal Philatelic Society. 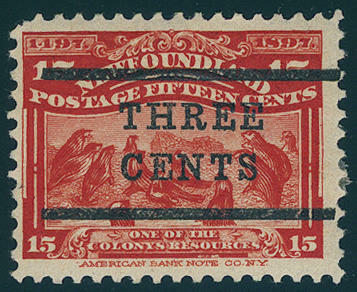 3581 111I 3 C. On 15 C. Vermilion, distance between bars 10 ½ mm, wonderful fresh colors and in perfect condition unused. 3590 ✉ 4 2 ½ P. Lilac on blue with overprint \"britisch PROTECTORATE OIL RIVERS\", fresh colors and in perfect condition on beautiful cover with all perfect red single circle postmark \"BENIN RIVER 15. Yes. 94. \" and red transit cancellation \"PAID liverpool 19. FE. 94. 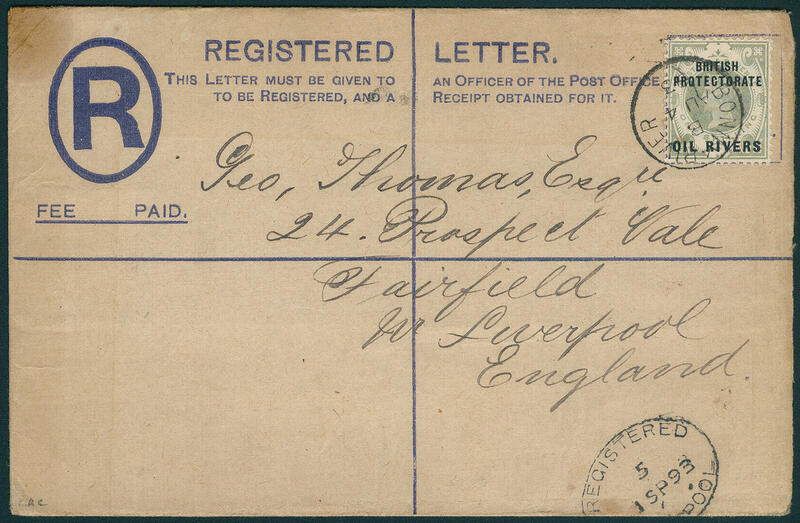 \" to West Hartlepool with arrival postmark. A wonderful cover for the highest standards! 3588 ✉ 6 1 Sh. Light green, wonderful fresh colors on registered postal stationery cover 2 Sh. 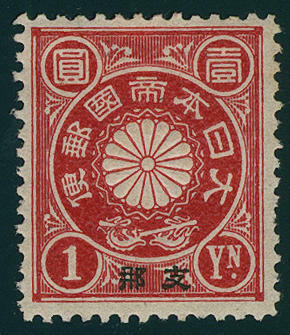 With single circle postmark \"BONNY RIVER 4. AU. 93. 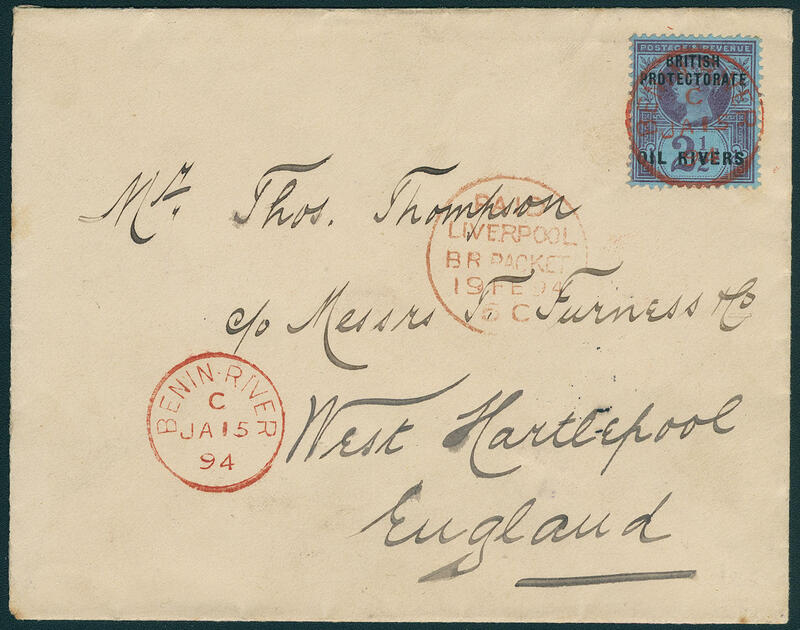 \" to liverpool / England with arrival postmark. 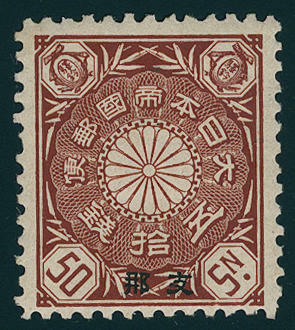 Commercially related covers of this issue are very rare! SG 1350,- Pfd. 3589 ✉ 696 40 N. Fifa 1999, interesting postal forgery on commercially used cover, genuine postally used with Encoding to Germany. (see Michel catalogue). 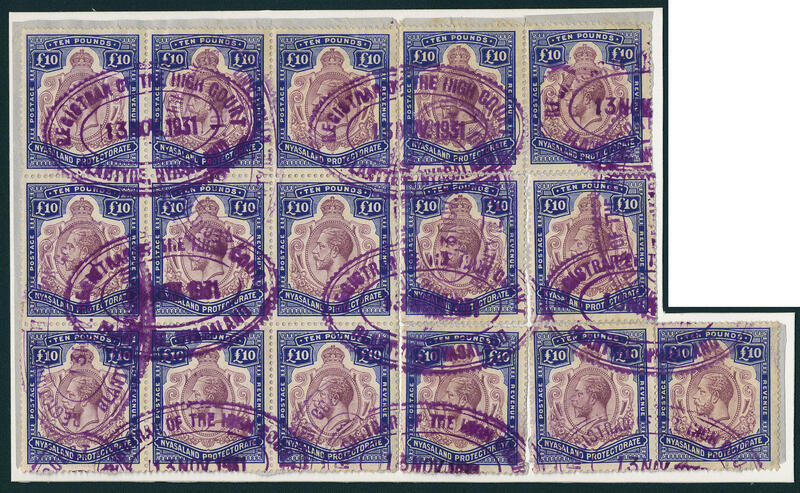 3591 ∆ 10 pound King George V., block of nine and seven single pieces, formerly used together on letter pieces, together on document with hinge mounted as fiscal use from \"BLANITOS NYASALAND 13. November 1931\". 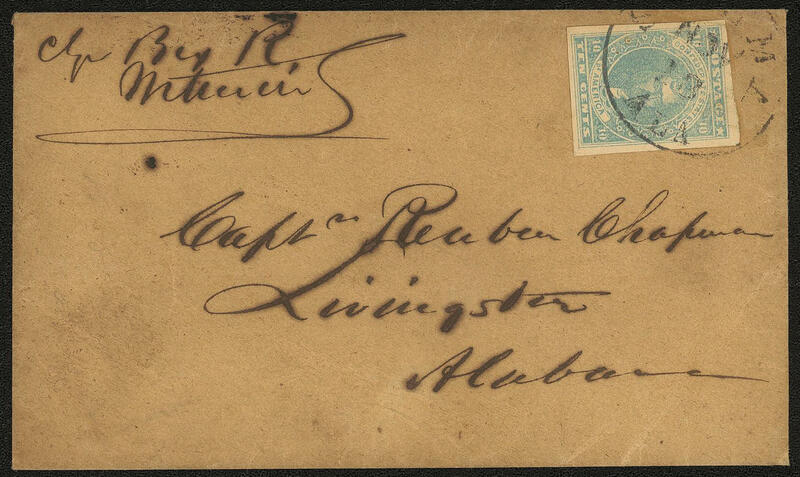 A very scarce and high franking! 3592 ✉ \"to commemorate the dedication of the German evangelist Church of the Redeemer to JERUSALEM at the 31. Oct 1898 through his majesty Emperor WILHELM II\", decorative gef. 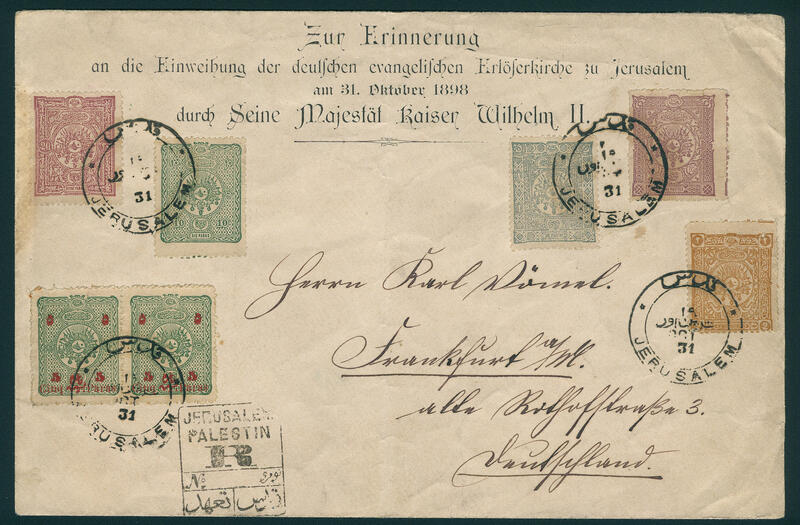 Registered cover with appropriate impression and provisional registered stamp, franked by seven Turkey values and two ring cancel \"JERUSALEM\" to Frankfurt. Very interesting and extraordinary cover!